Request a package by adding KWS Tree Top House to a shortlist and requesting a quote. 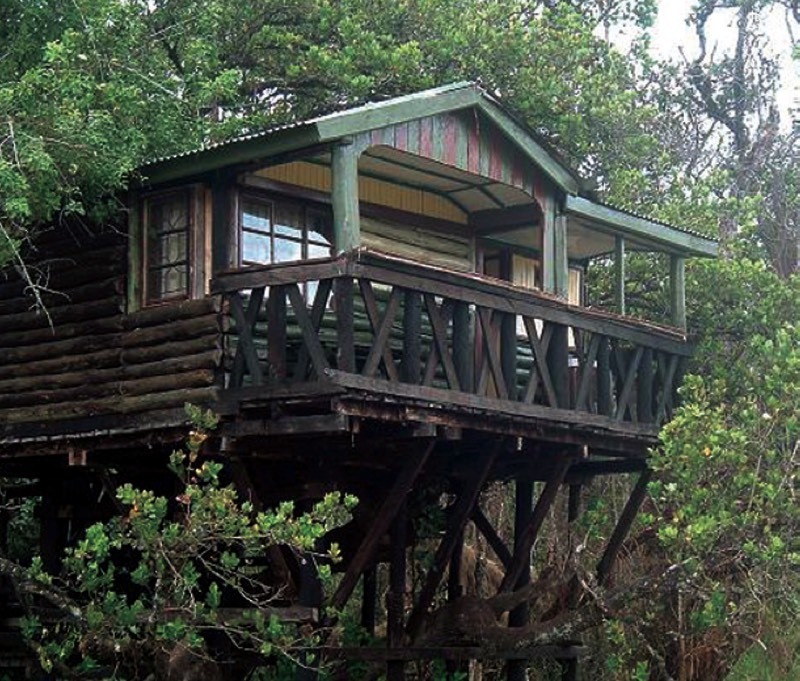 Saiwa Swamp National Park, Kenya’s smallest national park, provides the setting for this unique house. Tree Top House is named for its location in a tree inside the park. The house is owned by Kenya Wildlife Service, KWS. The house is a single unit, with twin beds and an en-suite bathroom. There is no kitchen. Cooking should be done at the Park Headquarters. No cooking utensils are provided so guests should bring whatever they require. A resident caretaker provides kerosene lamps, bed linen, towels, soap and loo paper. Saiwa Swamp National Park is famed for its abundant birdlife, especially water birds, including the lesser jacana, grey heron and African black duck. Rare game includes the semi-aquatic sitatunga antelope, otter, giant forest squirrel and both the de brazza and colobus monkey. The park also has a wealth of flora species. Saiwa Swamp National Park is 22km from Kitale. From Kitale, take the tarmac road towards Kapenguria. At Kipsaina junction, take the murrum road and follow it for 5km to the only park entrance, Sinverere Gate. The park gates are open from 6am to 7pm; park fees must be paid in cash at the gate. To request availability / quotation, add KWS Tree Top House to your shortlist.